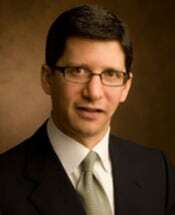 David S. Jasmer got his start in personal injury by working for many years as a law clerk for his father, Frederick D. Jasmer, his greatest mentor, who had the premier personal injury law firm in Michigan (FDJ obtained the 1st million dollar settlement in the State's history and attained tens of millions of dollars in verdicts and settlements). He comes from a family of lawyers, including judges, law professors, prosecutors, leading trial attorneys, and even his grandmother, the 1st licensed female attorney in Michigan. Mr. Jasmer grew up thinking about how to help victims of negligence from a very early age, a subject which he debated with his family virtually every night at the dinner table. That sparked his interest and instilled in him the mission to champion the rights of the injured. Mr. Jasmer is happily married and has 3 children. He and his family live in the city of Chicago. Intern for Judge Joyce Hens Green U.S. District Court for the District of Columbia Washington, D.C. The Jasmer Law Firm maintains relationships with several leading national law firms/trial attorneys across the country.